The director of the United States Department of Homeland Security has personally apologized to the congressman overseeing a probe of the Secret Service after embarrassing details about the lawmaker leaked to the press. DHS Secretary Jeh Johnson made a telephone call on Thursday evening to Rep. Jason Chaffetz (R-Utah), the chair of the House Oversight Committee, after the congressman claimed that Secret Service employees have been circulating personal information about him, including details revealing he had been turned down for a job with the agency more than a decade earlier. Chaffetz, the committee’s top Republican, is leading the panel tasked with examining a recent incident in which two Secret Service agents drove through the scene of an active bomb threat investigation in front of the White House; in recent days, he’s subpoenaed at least two members of the agency. The Daily Beast first reported on Thursday that Chaffetz, a vocal critic of the Secret Service, had applied for a role with the agency in 2003 but was rejected. Later that day, the Washington Post reported that the House Oversight Committee asked DHS, the parent office to the Secret Service, to investigate allegation that its employees had “circulated potentially unflattering information” about the chairman. Chaffetz told the Post that he found it “disconcerting to say the least” that agents of the Secret Service may have been sharing details about his failed bid in an attempt to embarrass the congressman. 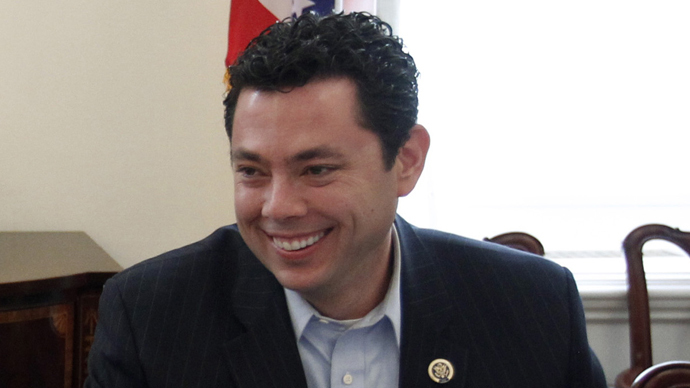 “I won’t be intimidated, but I’m sure that’s what it’s intended to do,” Chaffetz told the Post. “Last night, Secretary Johnson also called Chairman Chaffetz to personally apologize to him for being put in the situation that he had to acknowledge a matter that should have been kept confidential,” the spokesperson said. According to CNN, Clancy sent a memo to his staff on Thursday warning them that disclosure of personal information is prohibited.